The Makita MAC700 is a big bore air compressor with a lot of great features that make it a stand-out above other air compressors on the market. The big bore cylinder is one of it’s identity defining traits, which basically meas that it’s more efficient than competitors air compressors by pumping more air in fewer strokes, reducing the RPM and reducing the noise levels (80 db). This article will discuss in detail all of the features of the Makita MAC700 — a well-engineered air compressor well-worth your money. Back in 1915, no one could have guessed that the newly founded Makita Electric Works would become the prestigious international brand that it is today. I’d like to take you on a journey into the company’s history. 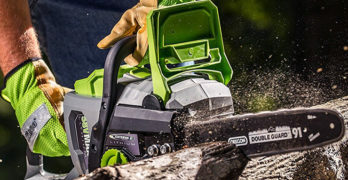 This introduction will show how this company has earned its stellar reputation and how it came to be that many who appreciate the value of quality power tools (including myself) have come to respect this brand as one the best. We’ll then go on to review the Makita MAC700 and MAC5200 quiet air compressors. Arguably, two of the best air compressors available today. Easy to carry with the roll-bar handle. Designed with a heavy-duty, cast iron pump which is oil-lubricated. 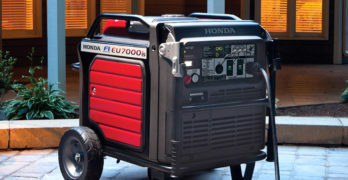 Runs cooler than traditional air compressors which improves its longevity. More details later in the article. Let’s discuss the history of Makit first. From very humble beginnings, Makita Electric Works started out selling electric motors, lighting equipment, and transformers in Nagoya, Aichi, Japan. The year was 1915 and the world was in the grips of the greatest war ever to be seen at that time, WWI. Despite these challenges, the small trading company began its path to greatness. Ironically, it was in 1935, just as the next great war (WWII) was about to begin that the Makita company began its first leg of expansion. Their first venture, outside of Japan was to export generators and electric motors to the Soviet Union. The cold war was some time off and the newly formed Soviet Union was an expanding and exciting market for the small company. Through the course of WWII, Japan saw much devastation and the Makita Company was forced to move their headquarters to Sumiyoshi-Cho in Anjo-City. This was to avoid the heavy bombing of Japanese industrial centers during the war. Like so many Japanese companies that survived the war, the decades that followed saw tremendous growth. In 1959, Makita began their new legacy as a fully-fledged manufacturer of electric power tools. 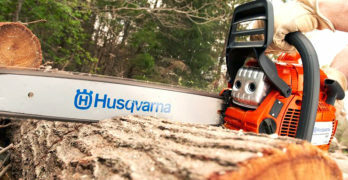 They started out by exporting 1300 hand planers to nearby Australia and so began their journey toward becoming one of the biggest and most respected power tool manufacturers in the world. In 1960, construction on their new main manufacturing plant was completed. 1962 saw the company enter the big leagues, they changed their name to Makita Electric Works, Ltd and began trading on the Nagoya Stock Exchange. From here on, Makita Electric Works forged ahead with incredible prowess. First by becoming completely debt-free in 1963 and then moving on to listing on the Tokyo stock exchange. In 1969, Makita introduced the first battery power tool to the world – the 6500D battery drill. This was the first signs of the great innovation that the company was to show. Many decades later, other tool manufacturers would build on these first steps taken by Makita, as battery-powered tools were to become the biggest tool market through the 1990’s and into the 21st century. Through the 1970’s, Makita embarked on their move toward global expansion, establishing Makita companies throughout Europe, Australia, and the United Kingdom. In 1977, they started trading on NASDAQ (a listing that continued until 2013). The following year they introduced the first power tool to use a nickel cadmium battery, the 6010 rechargeable battery drill. One of the reasons why Makita is so successful internationally is that they have set up offices and manufacturing plants in cities all over the world, with manufacturing plants on almost every continent. This means that Makita is a local company in so many countries. They don’t just export from Japan, they produce their products where they are sold. In the USA, their manufacturing and research facility in Buford, Georgia, is one of ten facilities found all over the world. Makita Corporation of America is a separate company, focusing on the needs of the North American consumer and produces many of their products locally. This same philosophy is found all over Europe, Asia, and South America. Makita continues to innovate new and improved products and has, from the beginning been the leader in battery powered tools – always being the first to introduce new technology in this field. In 2005, the Makita TD130D was the first power tool to use a lithium-ion battery. 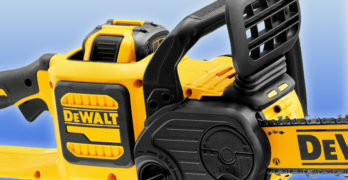 While being leaders in battery technology, they are also highly competitive in every section of the power tool market. Whether it’s small hand-held power tools, large industrial saws or powerful air compressors that people are looking for, millions of professionals and DIY enthusiasts swear by Makita as their brand of choice. Finned discharge tube dissipates heat more efficiently. Because the MAC700 is built by Makita, you can expect innovative technology and robust design. It has a 2HP motor that doesn’t draw a high current, running at 1.7 hp. This means lower electricity bills and less chance of the power tripping due to current overload. Let’s focus on the big bore piston and cast iron pump because this is a big reason why the Makita MAC700 is such an excellent choice. By using a larger diameter piston, the pump is able to compress more air with every stroke. This is the same principle that is used in a truck engine that delivers high torque at low revs. In the case of a compressor, this torque is used to force the air into the tank. The big bore piston means that it requires fewer strokes to move the same volume of air as other pumps with a smaller piston. The result, lower RPM (operating at 1720 RPM) which means less wear on the pump and lower noise levels (80dB). This is not the type of noise that you’re going to fall asleep to but is exceptionally quiet for a compressor that delivers 3.8 CFM at 40 PSI and 3.3 CFM at 90 PS. It has an operating pressure of 130PSI, all this results in very fast recovery times, whilst using less electricity and producing less noise. A cast iron cylinder and pump mean extreme durability. The Makita MAC700 is designed and built to withstand the harshest working conditions. The pump is oil lubricated with an easy to reach oil drain plug. While many modern compressors use a sealed pump that never requires an oil change, I think it’s preferable to be able to change the oil. Replacing the oil in the pump will prolong its life. Oil loses its viscosity over time, making it less effective at lubricating and cooling. What’s more, oil expands as the temperature increases and even the best sealed pump will lose some oil through seepage. Changing the oil in the pump doesn’t require much effort and will, most certainly, result in better operation for a longer time period. Other great features include a large air filter, similar to those used on motor vehicles to ensure that the air that you’re using doesn’t harm your pneumatic tools and that your spray painting work is clean without dust particles. The large air filter handles the high volume of air that the compressor takes in with ease and won’t require cleaning as often as a smaller one. The discharge tubing has cooling fins to reduce water condensation in the pipe and makes for better functioning for all applications. In addition to this, it has an easy to use ball valve (with a lever) for draining the 2.6-gallon tank. This makes it really quick and easy to keep the tank from collecting too much water. It is, in every aspect of its design, made for the easiest maintenance and a conveniently placed oil level window just adds to this. It weighs 52 LBS, which is a testament to its robust design – the cast iron components will add some weight but it’s worth it, keeping the machine performing better for longer. Besides, this weight is not excessive and the Makita MAC700 is easy to move around any job site. To make this easier, it has a roll bar with a soft grip handle. This serves the dual purpose of protecting it when transporting and making it easier to lift and carry. It is also protected by a thermal overload to prevent the motor from overheating. Using the Makita MAC700 is pretty as much as one would expect. It has all the normal controls and features. This takes the form of a ¼” universal quick coupler made from brass and is, as to be expected from Makita, of the highest quality and should remain leak-free and easy to use for a long time. It has two pressure gauges – one at the tank and one at the outlet. The outlet pressure is controlled by a standard turn knob regulator that is very accurate and easy to use. I could go on forever about the excellent quality of Makita tools, but I think that most of us know this by now. I truly believe that buying a Makita product is a great investment, even if they are more expensive than many other products. When you buy the Makita MAC700 air compressor, you get what you’re paying for – superior design and the highest level of build quality. You are covered by one of the best 1-year limited warranty agreements ever. If you look at the warranty document, you’ll see only four very logical limitations. There aren’t pages of exceptions and conditions. Their warranty is plain and simple – don’t abuse it or attempt to have it repaired by an unqualified technician. You also get a 30-day return and replacement guarantee. Because Makita has a massive global footprint, there’s hardly a corner of the world where you won’t get expert service and replacement parts for any Makita product. Built-in storage compartment conveniently stores air fittings and accessories. The Makita MAC700 is, without a doubt, one of the best silent air compressors for its size. But there are many people who need something bigger. If you need a high-volume air compressor that’s built to the same standards as the Makita MAC700, the Makita MAC5200 is probably what you’re looking for. The Makita MAC5200 uses the same basic technology as the MAC700. This means the same big bore piston and cast iron pump and cylinder. So it’s also built to last and offers just about the lowest noise levels in its class. The 3HP motor is going to be slightly louder than the smaller model and will draw a higher current. But, relative to its size, it’s still exceptionally economical when it comes to power consumption. It also has the convenient ball valve drain for the tank, oil level window and easy to use oil filler. It also has a high volume industrial air filter and thermal overload protection. The air tubes have the same finned ventilation for cooling. 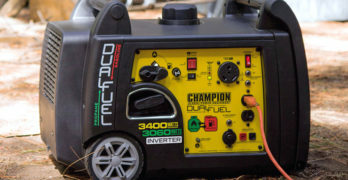 What type of air compressor do you need? Makita makes a nice range of models. Built for larger applications, the Makita MAC5200 has a larger 5.2-gallon tank. To give it the recovery time needed for all this capacity, the pump produces 6.9 CFM at 40PSI and 6.5 CFM at 90 PSI with an operating pressure of 140 PSI. The layout of the user panel is perfect, with everything placed just where you need it. There are two compressed air outlets with high-quality ¼” brass quick connectors. The two pressure gauges (one for the tank pressure and one for the outlet pressure) are placed next to each other and are clearly marked. The pressure control knob is easily accessible and placed at the gauge. Because it’s a big heavy machine, weighing 88 LBS, it has large wheels to make it easier to move. It also has very well designed soft grip handles with a tall trolley-like design so you can push it without bending down. The upright collapsible handle incorporates hangers for the air hose and can accommodate 50 Ft of ⅜” air hose. There’s also a handy storage compartment for all your accessories. The handles (on the back and front) wrap around to form a strong tubing roll cage to protect the working parts from damage when transporting. For a machine this large, it can’t be beaten for versatility and portability. Ingenious design and exceptional build-quality, make the Makita MAC5200 a truly magnificent silent running 3HP air compressor. It has the same excellent Makita 1-year warranty as their other air compressors, which includes a 30-day replacement guarantee. Net Weight : 88 lbs.